The aesthetics of modern architecture comes across here with the endless expanses of the sea surface and is embodied in the perfect space for life. Aquamarine is not just the comfort of luxury real estate. This is a place where beauty and convenience, innovation and comfort, security and tranquility will never be in conflict with one another. Life in the city center can be free from noise and polluted air – innovative construction technologies and location solve these problems. The infrastructure can be comfortable and safe for both adults and children, thanks to the concept of “The yard without cars”, large playgrounds and a separate parking lot. All this becomes a reality in the Aquamarine residential estate. The views that open from the roof of Aquamarine Residential Estate will take your breath away. From a bird’s-eye view, you can be inspired by the best views of the city, the Golden Bridge, Fyodorova Bay, Russkiy Island and the Amur Bay every day, watch sunsets and sunrises over the sea from a safe, modern observation deck with landscaped recreation areas. 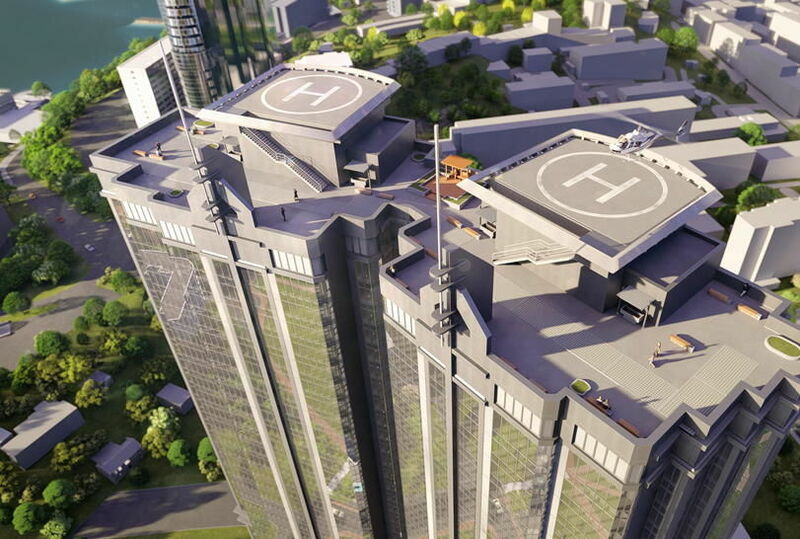 Also, two helicopter pads will be located on the trafficable roof of the building. Getting you accustomed to comfort, conceiving the ideal space, creating the best – a solution emerges that allows you to organize functionally perfect life of the whole house. First floors are combined into a stylobate, and inside there is a covered parking. At the very top is a courtyard, where modern rubberized children’s and sports grounds, a beautiful, eco-friendly area for walking and recreation are located. Here, the eye catches the unique aesthetics: the rotunda in ancient Greek style surprisingly complements the modernity of the skyscraper and the refined green zones create harmony among the stone. The access of vehicles to this territory is permitted only for boarding and alighting of passengers, and also for a short-term stop of vehicles for unloading or loading. 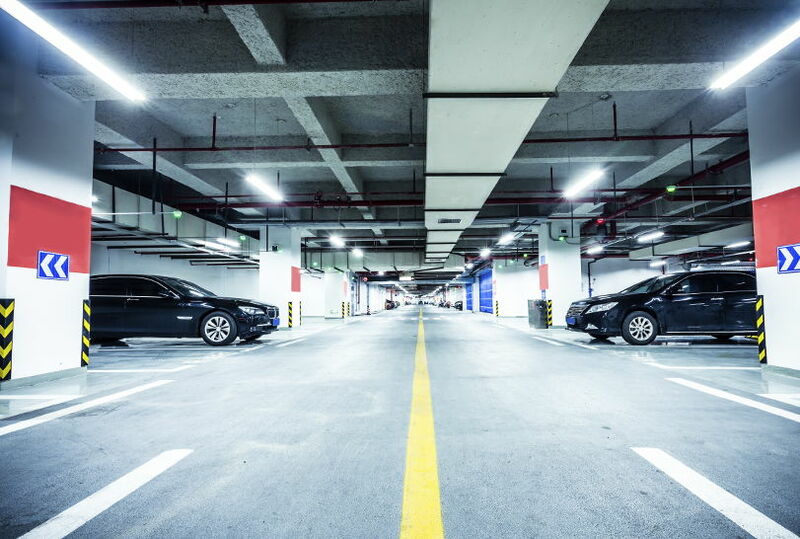 Three-level indoor heated parking for 250 cars directly within the walls of the skyscraper: you can come back home and leave your car under reliable protection 24/7. Here you will also find a detailing center for polishing and cleaning your car effortlessly, both inside and outside. 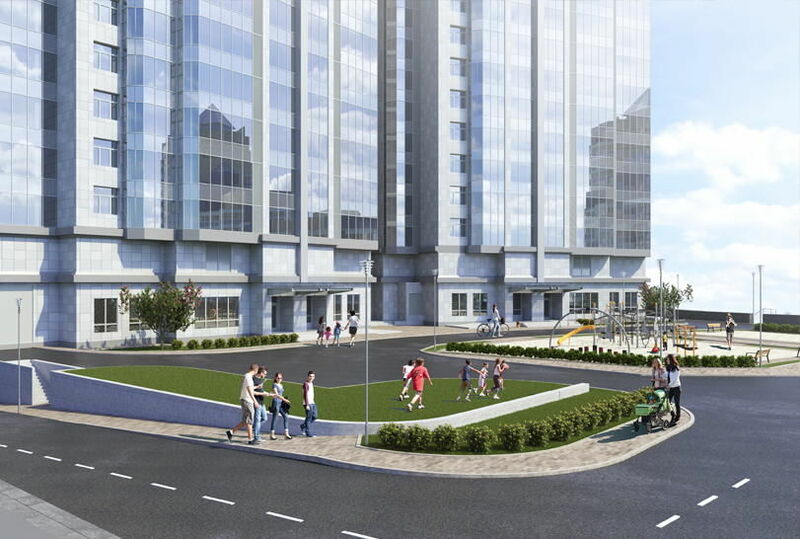 Access to the parking – directly from the building via the elevator to a warm and comfortable space, equipped with charging stations for electric vehicles. Near the complex, not far from the sea will be another heated indoor parking for 600 cars.